We've been moving stuff around at the barn. My mother has no upstairs closet... which is where she shares her bedroom with her studio. She wanted her clothes to have a home. Remember how full that studio is... there's not a lot of space left over. She got out her sketchpad. She measured and planned... for a good long time. Somewhere in this scheming stage, she decided it was time to put in her upstairs bathroom. The space is plumbed and ready... but the sewing nook had taken temporary residence in the future bathroom. Oh dear... out it all went! Maybe a closet of sorts could fit in with the sink and toilet... a dressing room, if you will. We all know this is not a traditional home. When you move things around... you shake it up, and it all becomes fresh again. Although, my mother had sketched out numerous ideas for building a closet, we realized that she had everything on hand for a super quick diy. 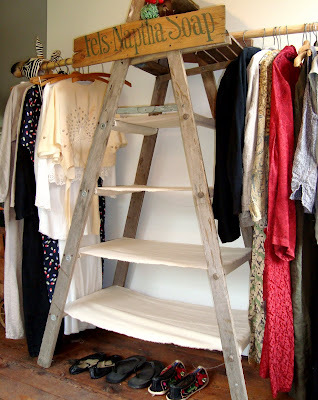 Remember that wonderful ladder shelf? Look how it has shifted! I talked the idea through with my mom and then I didn't return until she had completed its transformation. Oh, how I love my mother! 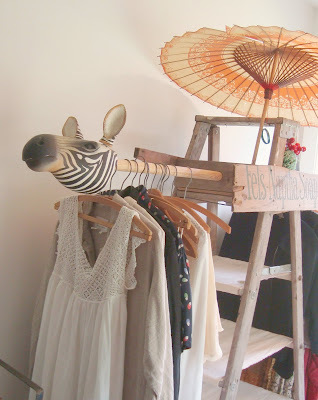 Not a single item was purchased to make this one-of-kind clothes horse (or should I say zebra?). The rods are broomsticks. Hammock shelves were created with a heavy linen scored at some garage sale years ago. Each shelf was staple gunned to corresponding ladder rungs. 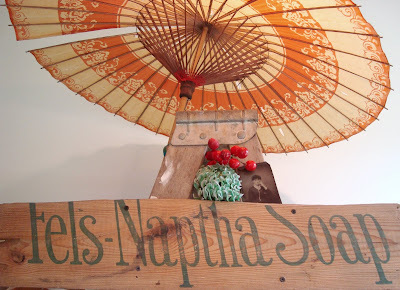 The Fels-Naptha Soap board is both decorative and functional, as it secures the clothes rod support brackets. That very board was discovered under the barn when it was lifted off of its foundation. It's found a new life in its original home... in a bathroom, no less! Yes, that's my favorite part. But you also have to admire the whimsy of using a wooden zebra mask as a finial to keep the hangers in place. I'll invite you over to see the new sewing corner as soon as it's tidied up. It's cozy, but so good. Hope you have a wonderful weekend! p.s.please don't for get to leave a comment for the giveaway before 5 pm EST today. I'll announce the winner tomorrow. 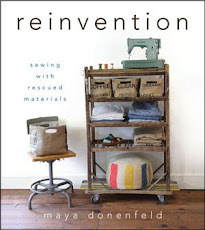 Maya, this creation is marvelous and so whimsically happy! Your talented mum has done it once again! What a fun way to store your clothes. And how wonderful to craft like this with your mother. This is absolutely fabulous, Maya! Your mother is UBER creative and fantastic! I love this!!! Love the closet and that little cart thing next to it! 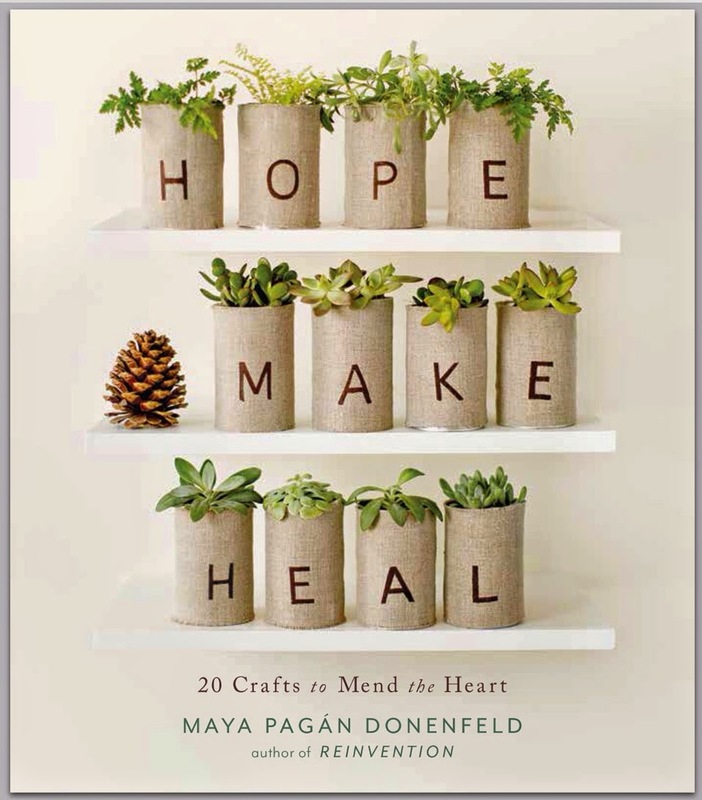 Love, love, love this idea. It is so wonderfully perfect. Another inspired project! 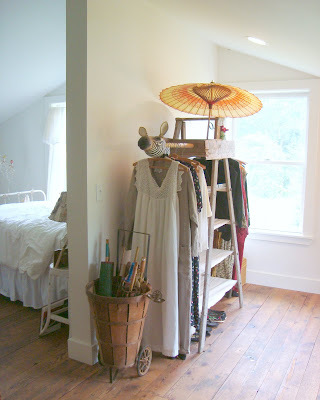 I love those linen shelves, and the paper parasol, too. I love the zebra-head finial! This is just the type of whimsy that I need more of in my decor. Bravo on another fine collaboration. Your mother is so creative! I also see a coffee table book in the offing. What wonderful style you both have. That room looks so refreshing. I would love to wake up in a space like that. Beautiful! Clever closet. 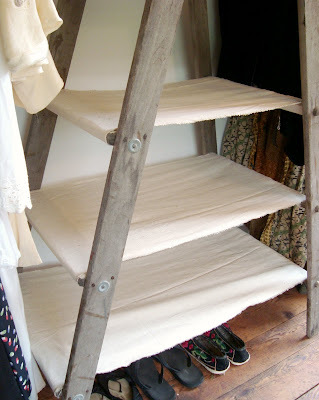 I especially like the linen shelves. You are so creative- I love it! Thank you for your sweet email Maya. I want one!!!! I have the ladder and the paper umbrella...now I need to find the right spot! What a fantastic idea - I just love it!!! So, so clever - I love it! The zebra is the perfect touch. you two NEVER cease to amaze me!... this is so fantastic! Oh this is so simple and full of creativity! I love it! I agree with Lori, you should write a book about the barn restoration...every detail is interesting. That is cool! I think I need that. oh, i love this so much maya! Maya, it's easy to see where you get your artistic side. I love it and wish I could make one for my bedroom... and I already have a closet. Thanks for always inspiring the creativity in us all. That is such a COOL idea. I have an old latter and have been wondering what to do with it. You are a Genius. I don't have any closets downstairs and this is just what I was looking for. Thank you. YOU ARE A GENIOUS!!! !Thanks for sharing! Oh, I just love the way your mind works! I just love this idea. I'm going to go see what else you've been up to. Do you have videos on youtube?